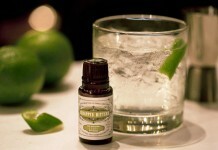 Bitters are an important part of cocktails, acting as an essential bridging element that helps unify flavors and balance strong and sweet elements. 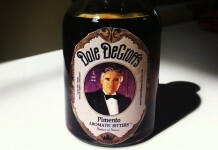 Bitters are also a major component of the aromatics of a cocktail. Think of bitters almost like a symphony conductor. Different conductors make the same music sound different, and the same holds true for bitters in cocktails. The Manhattan is one of the most basic classic cocktails, comprised of just three ingredients: whiskey, bitters, and sweet vermouth (and like the martini, it is stirred, not shaken). Although it may be one of the most basic cocktails, it’s also one of the most difficult to get right; with so few ingredients, having just one ingredient off can push the whole drink out of balance. Stir the ingredients with ice, strain, and serve into a chilled cocktail coupe. Garnish with a cherry or an orange twist. The classic recipe calls for Angostura Bitters, but one of the most common variations on the drink is to substitute cherry bitters for Angostura. Cherry is a natural complement to bourbon and sweet vermouth, and it’s one of the reasons why the drink is often garnished with a cherry. Woodford Reserve has often positioned themselves as one of the premiere bourbons used to make a Manhattan. One of the reasons it’s favored in this space is that it has a high amount of rye in the mashbill. Going with a whiskey that has a higher rye content in a Manhattan helps give it more spice and complexity, especially when mixed with sweet vermouth. Perhaps then it’s not such a huge surprise to see Woodford enter the growing bitters space with a bitters that seems custom designed to be used with Woodford Reserve bourbon to make a Manhattan. Woodford Reserve Bourbon Barrel Aged Spiced Cherry Bitters (1ooml bottle, 45% ABV, $15) – Deep, rich cherry notes (which remind us of Luxardo cherries) lead the nose with an undercurrent of allspice and a hint of oak. On the palate it’s much more about the spice notes than the cherry, with solid allspice and cinnamon notes dominating the start and then moving aside to allow the gentian and an undercurrent of clove to come forward. Cherry is there underneath it all but it’s much more of a bit player until the end when it emerges at the finish. The finishing aromatics is a lovely mix of cherry and spice. Comparing side by side with the Fee Brother’s Cherry Bitters shows how radically different these two bitters are. Woodford’s cherry is sweet, lush, and spicy while Fee Brothers’ is tart, sour, and more like a pie cherry. Next to Angostura Bitters, the Woodford Reserve Bourbon Barrel Aged Spiced Cherry Bitters are less bitter and much more subtle than Angostura, whose citrus and clove notes are easily twice as strong. The real test of the bitters is, of course, in a Manhattan, where they perform superbly. In the drink the cherry really stands out in the aromatics, but on the taste the cherry notes are exceptionally well integrated with the drink, far more integrated than when we used Fee Brothers Cherry Bitters. The level of spice and kinds of spice are clearly custom made to match and complement Woodford’s spice notes perfectly, and it’s not a stretch to say that Woodford Reserve Bourbon Barrel Aged Spiced Cherry Bitters was created to be specifically used with Woodford Reserve Bourbon in a Manhattan. 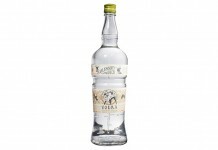 The bitters are a nice treat and could be the beginning of a trend – bitters custom designed to go with a specific spirit. 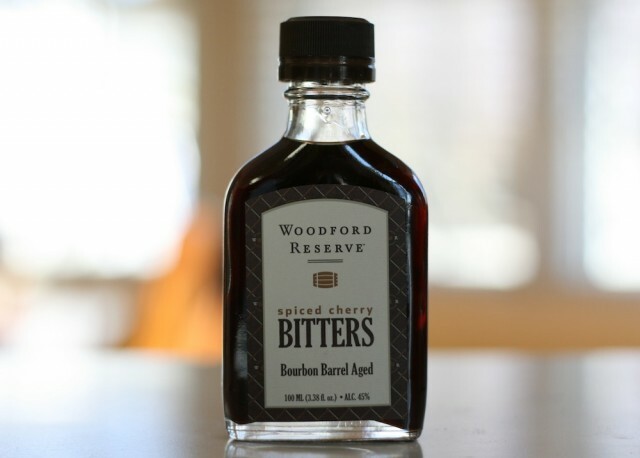 You can order Woodford Reserve Cherry Bitters online.